Rome, December AD 76. Marcus Didius Falco is called in to find a barbarian prophetess, Veleda, who has been brought to Rome by a victorious general to be paraded through the streets during his Triumph and then sacrificed. Veleda has been kept in a section of the general’s home, but she becomes ill. Then a young man is found beheaded in the pool in this same house, and Veleda escapes captivity. 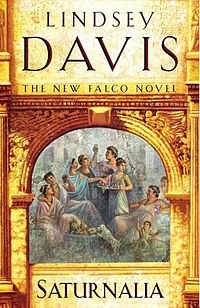 Marcus Didius Falco, private inquiry agent, is called in to find the missing captive. He tries to avoid taking this assignment, but, as usual, the Emperor’s minions prevail. Falco has to find Veleda before Anacrites, the Chief Spy and Falco’s rival, does. The fact that this is the two-week period when the citizens and slaves of Rome celebrate the unruly festival of Saturnalia only makes things more difficult. This is the 18th book in the series which started with SILVER PIGS in 1989. Only six years have passed in Ancient Rome since Falco first solved a crime for the Emperor Vespasian and met Helena Justina, the senator’s daughter he later married. Each book in the series explores a different facet of life in Ancient Rome and its territories (SILVER PIGS takes place mostly in the silver mines of Roman Britain). Davis’s scholarship is not to be faulted. Her history is impeccable. The picture of Rome during the period of the winter solstice called Saturnalia (or Christmas or Chanukah) is well researched, as are her Romans, whether upper or lower class. If her language sounds too modern, well, do any of us speak colloquial ancient Latin? It is always a pleasure to spend time with Falco and his wife. His friends and family are always welcome as well. 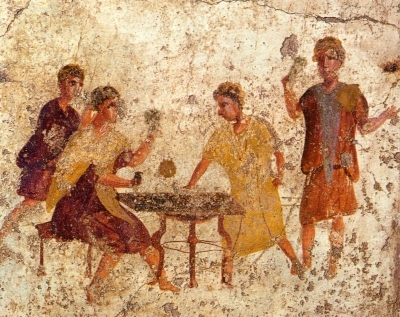 All in all, spending time in Ancient Rome with this group of characters is an annual joy.